After winning his fourth Golden Shoe, there was little doubt who would finish top in the 2016/17 ranking, but who do you think finished second to fifth? 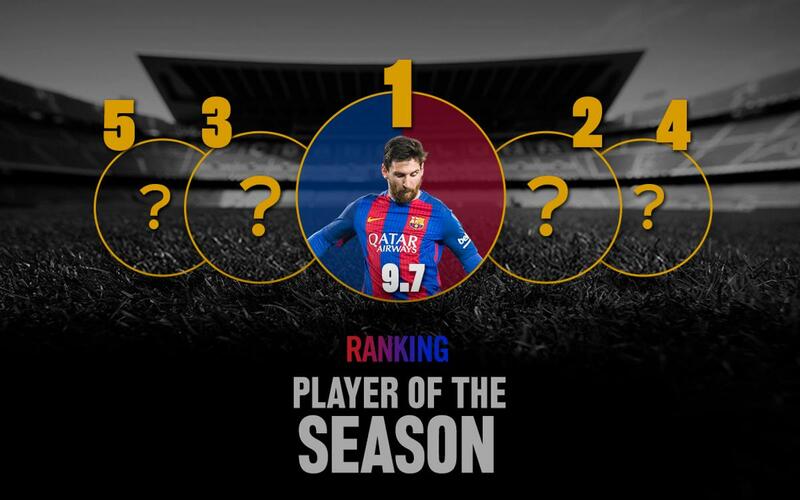 Leo Messi has been voted FC Barcelona player of the season 2016-17 by registered Barça Fans. The Argentinian finished the campaign with 54 goals and 16 assists in all competitions and collects the MVP prize with an average ranking of 9.7 out of 10 from the club’s online community. In a season in which he reached the extraordinary milestone of 500 official goals, Messi won the European Golden Shoe for finishing as the highest goalscorer in the continent’s different leagues. During his glittering career, he has won 30 official titles for Barça – and all of that before his 30th birthday, which comes next June 24.